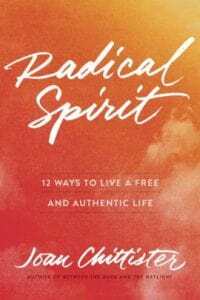 Join us for a stimulating reflection and discussion group, based on the book Radical Spirit: 12 Ways to Live a Free and Authentic Life by Joan Chittister. Participants will discover practical ways to acknowledge faults, seek wisdom (not simply facts), listen deeply, and reflect before speaking to create respectful, loving relationships. We will read two and a half chapters each month, and then gather to pray, glean insights, question how content connects with out lives, and support each other through faith sharing.